When blood pumps out of your heart, it puts a force on the walls of your arteries. This force is what makes up your blood pressure. When we're healthy, our arteries stretch to allow blood to pass through them more easily. Your blood pressure changes throughout the day, depending on your posture, level of activity, wakefulness, and stress. 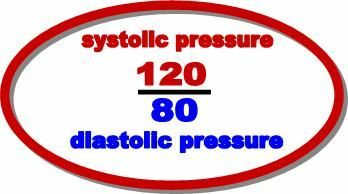 Blood pressure is measured in two numbers, one "over" the other. The first number is the pressure when your heart beats. The second number is when your heart is at rest between beats. On November 13, 2017, The American College of Cardiology/American Heart Association released the new 2017 Guidelines for the Prevention, Dectection, Evaluation and Management of High Blood Pressure in Adults. For years, hypertension was classified as a blood pressure (BP) reading of 140/90 mm Hg or higher, but the updated guideline classifies hypertension as a BP reading of 130/80 mm Hg or higher. The updated guidelines also provides new treatment recommendations, which include lifestyle changes as well as BP-lowering medications.